2" outlet in the center of drain. -Made of strong 304 grade stainless steel -Comes with built in filter to catch unwanted elements from going down the drain. Now comes with FREE linear drain height adjuster. Height adjuster threads into most standard shower drain bodies. 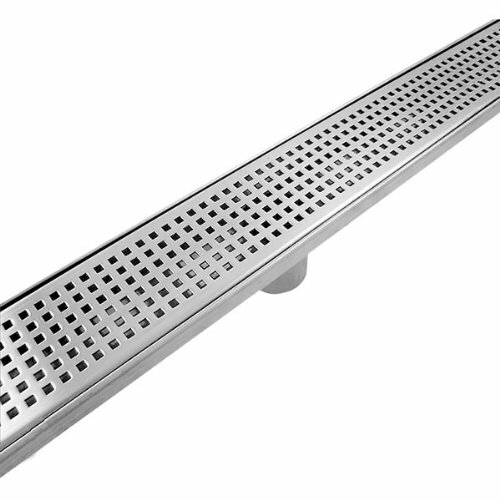 Allows for easy installation of trench drain grates into shower drain bodies. NOW with FREE linear drain height adjuster. If you have any questions about this product by Thunderbird Products, Inc., contact us by completing and submitting the form below. If you are looking for a specif part number, please include it with your message.